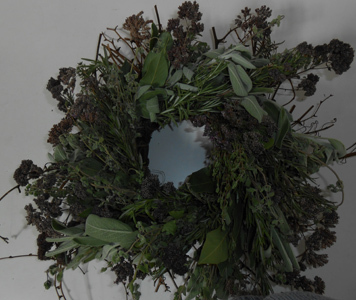 Herb wreaths made to order. Bulk herbs available for delivery within 40 miles. Ask your grocer for Fresh Farmers' Daughter Herbs! Farmer's Daughter Herbs supplies Salt Lake City and surrounding areas with the freshest culinary herbs available. 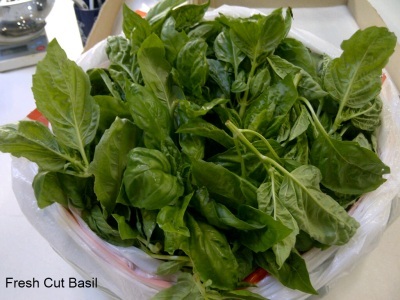 When you want the very best in fresh herbs, consider purchasing from us. 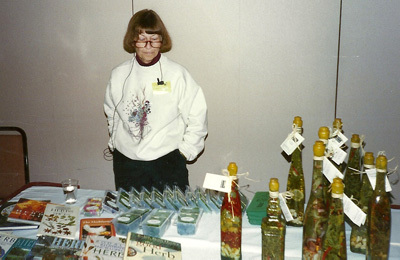 We have been in business for over 30 years, and no one knows herbs better. Please look around and perhaps find a recipe that fits your need, learn how to make herbal gifts, or find out more about caring for your own herb garden. *Note as with any produce, you should thoroughly wash and pat-dry herbs before use.